Regular readers of this blog are aware of my fascination with Ender Wiggin, Lennie Smalls, and sports teams from the state of Ohio. What they may not be aware of is my fascination with irony. In fact, I once stayed up late into the night figuring out how everything in life is ironic, which is ironic because not everything in life is ironic. Now Even More Short Stories with Irony and lesson plans. “The Cask of Amontillado” by Edgar Allan Poe. In addition to being the master of suspense, Poe is sneakily ironic. For a study in verbal irony and reverse psychology, you’d be wise to examine the words of Montresor as he leads Fortunato into the catacombs and a nightmarish death. “The Gift of the Magi” by O’Henry. More than just a Christmas classic, this O’Henry short story is a study in how to use irony to accentuate theme, as the best gifts ever turn into the worst gifts ever, which makes them the best gifts ever. Now that’s irony at its finest. “The Lottery” by Shirley Jackson. There’s all sorts of ironic goings-on at this small town lottery, the most ironic being that the lottery’s participants seem unaware that anything ironic is actually going on. “The Monkey’s Paw” by W.W. Jacobs. If you want to mess with fate, you’re going to get your ironic comeuppance. The White family leans this the hard way. “Harrison Bergeron” by Kurt Vonnegut. Harrison Bergeron’s one of the greatest physical specimens and great minds of his day…which is a bad thing. Just taught “The Open Window” for the first time. Great high-interest, easy read that you can dig into. Check out “The Open Window” post. 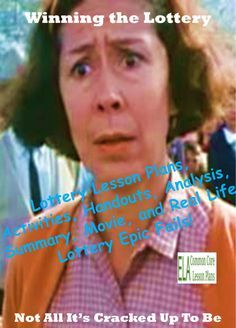 High interest story with great critical thinking lesson plans.